Every March 2, reading is celebrated across the United States. Read Across America, established by the National Education Association (NEA), is “an annual reading motivation and awareness program that calls for every child in every community to celebrate reading.” March 2 was picked because it was Dr. Seuss’s birthday, the beloved author whose books have helped millions of children learn to read. This year, CJ is celebrating in school. His teacher asked us to send a picture of him reading his favorite book in his favorite place to read. You’d think I’d have that already, considering the hundreds of pictures in this blog and Instagram. But he informed me that I didn’t have a picture of his new favorite book. 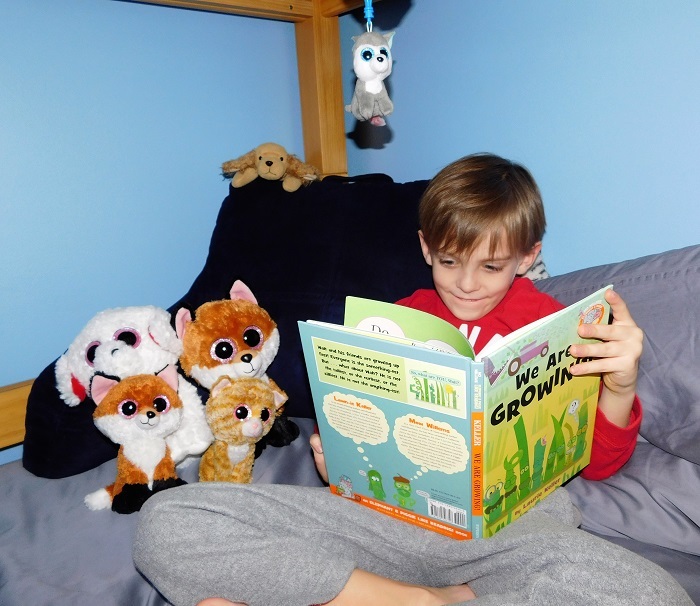 So we took some pictures of him curled up in his bed reading We Are Growing! 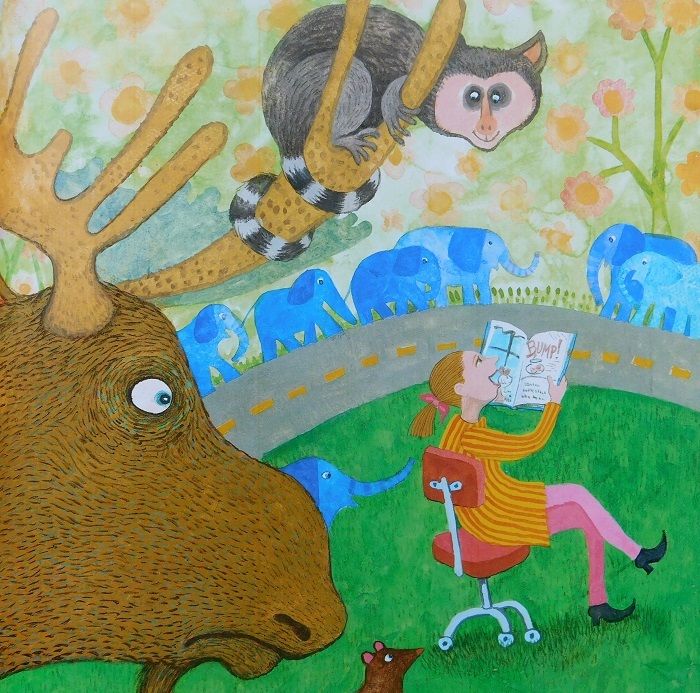 by Laurie Keller, an Elephant and Piggie Like Reading! Book. (We’ve been on an Elephant and Piggie reading kick so not surprisingly, we recently bought what we hoped was a new Elephant and Piggie book in our Scholastic Book Club order.) 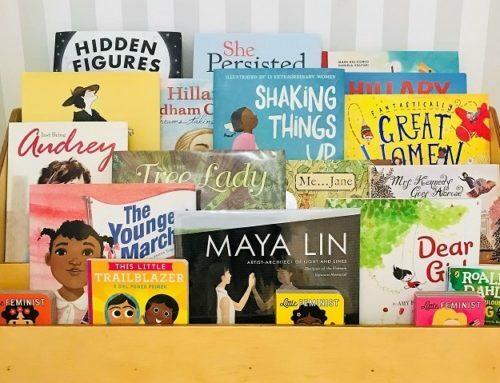 It looks like Elephant and Piggie are now picking books. They did not disappointed. Written with a similar humor to Mo Williems’s books, you’re literally watching grass grow. As the blades of grass grow, they notice they’re growing differently—tall, curly, silly, pointy, and so on. One blade cannot figure out what makes him unique….until what enviably happens to grass. Don’t worry. After they’re cut, they grow again and the last blade figures out what he is. 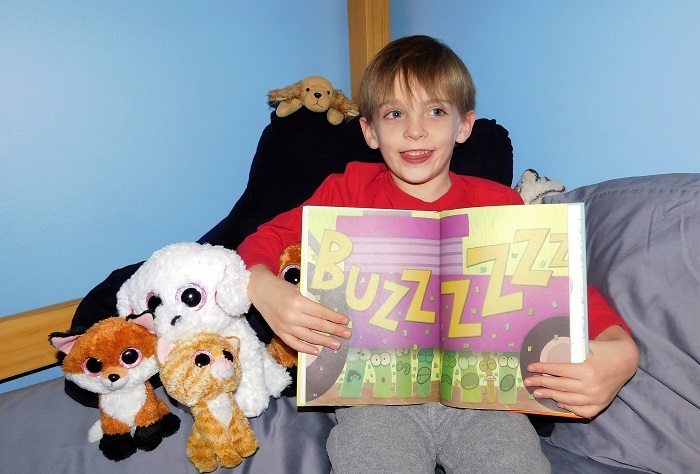 Of course, after taking pictures of CJ’s favorite book and reading nook, Cam wanted to do the same. Again, you’d think that I’d have this picture, too, but somehow I don’t. Unlike CJ, who changes his favorite book at least every week, Cam still loves Dragons Love Tacos by Adam Rubin, illustrated by Daniel Salmieri. I’ve already written a whole blog post about it! And now we’ve captured a picture of him reading/reciting it in one of our comfy living room chairs. Since I have children’s books in every room of our house—a large shelf in the play room, baskets and bins in each of the girls’ rooms, a mini shelf on the landing, and, admittedly, random stacks waiting to be re-shelved on any given day—the girls are apt to pick up a book and plop down just about anywhere. But they do have their favorite spots. For Winter, it’s her little blue rocking chair. I found it in the basement of an antique shop and had it reupholstered. 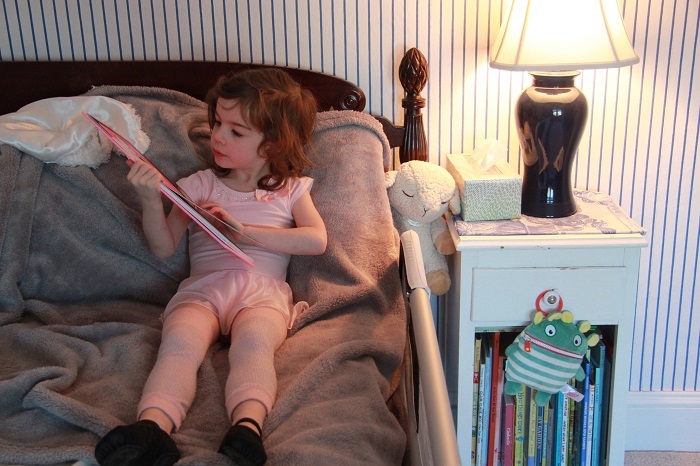 Now it’s a pint-sized, cozy spot for her to grab a book and relax. 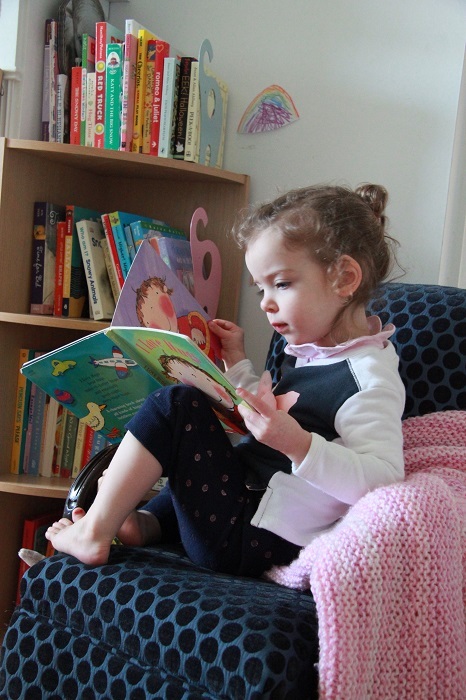 I put it beside a Winter-sized bookshelf full of board books to make reading her favorites effortless. For Willow, it’s her bed. Her bedside table is a bookshelf. If she ever needs a quiet moment during the day, I’ll find her curled up against her pillows with one of the titles we rotate in the bedside shelf. At night, we always do the bedtime reading in Willow’s bed. It fits us all! Once we’ve read the stack of nighttime selections, I take Winter to her nursery, and Willow’s allowed to keep reading to herself for a while longer. Big girl privileges! Increasingly, one of our favorite places to read is the car. We recently discovered the benefit of audio books. We’ve been adding to our collection of CDs and companion titles. The stories keep the girls occupied while I drive, and I love that they can follow along to the story with a book in hand. 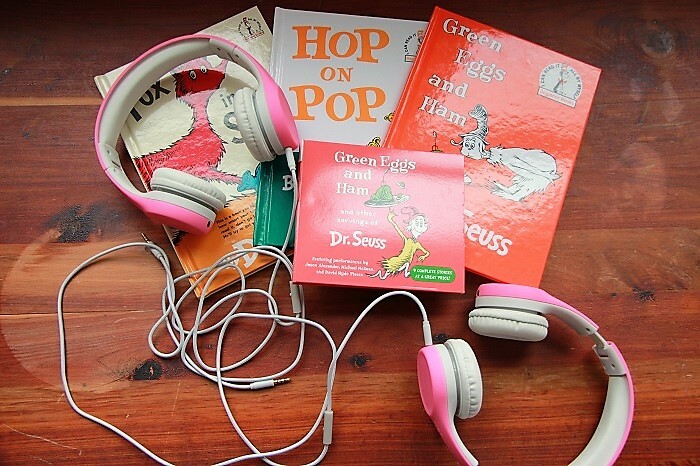 One of our favorite collections is the Green Eggs and Ham and Other Servings of Dr. Seuss audio CD. It has nine stories told by familiar and engaging voices. Bonus: Jason Alexander delivers Dr. Seuss’s ABC and David Hyde Pierce, Fox in Socks, which I always stumble over while reading in the evening hours. Because the CD did not come with the books, I pulled the ones that I had in our library and put them in a basket in the car. Of course, I ordered the remainder to complete the set. I have also purchased audio books in iTunes so they can be loaded onto the iPad and the girls can listen individually (instead of together via the car’s speakers). But I have found this makes it more difficult to read along with a book since it must be held…and little ones can open other apps. So at this stage we prefer the CDs. I’m also more easily able to skip, rewind, and otherwise control the flow of the stories while driving. All this talk about books and nooks reminded me of one of my favorite books—Wild About Books. 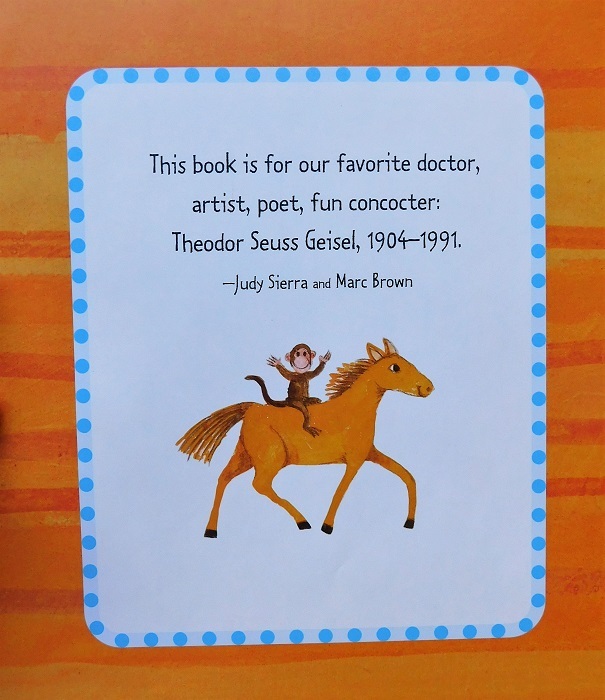 This rhyming treat about a zoo of animals that fall in love with reading was written by Judy Sierra (award-winning author), illustrated by Marc Brown (creator of Arthur), and dedicated to Dr. Seuss. Ms. Sierra features all kinds of books getting all kinds of treatment from the animals. Your kids will love finding their favorites. 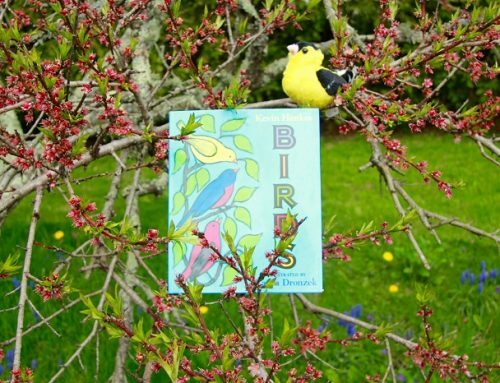 If you haven’t read Wild About Books, you must give it a try. It’s a treat! If your children aren’t in school and you graduated high school in the late 90s or earlier (Read Across America started in 1997), you probably didn’t know about this reading holiday. Don’t worry! There are many easy ways to celebrate! Read to your kids on March 2 and all year long! Because it is Dr. Seuss’s birthday, we took out a stack of his books to read this week. We’re also checking out the Seussville website to learn more about Dr. Seuss, play games related to our favorite books, and see what books we haven’t read…yet. Take the Read Across America Pledge. If you’re going to read, take the pledge at ReadAcrossAmerica.org. Last year there were 988 pledges. Let’s help them blow past that! 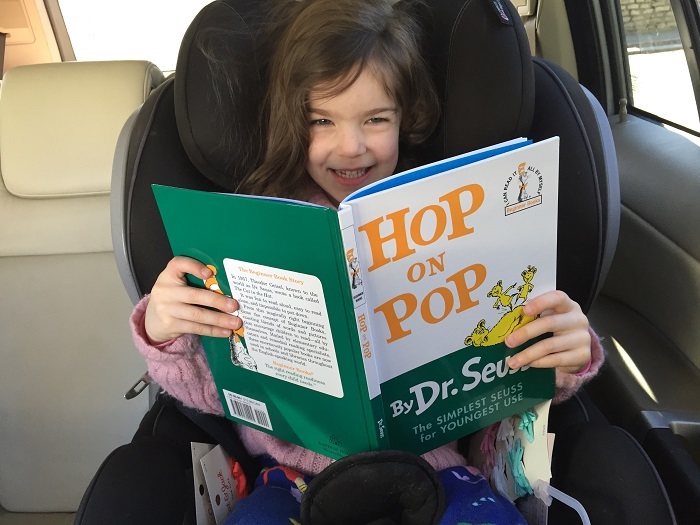 You can also share pictures of you and your kids reading and celebrating with the hashtag: #ReadAcrossAmerica. 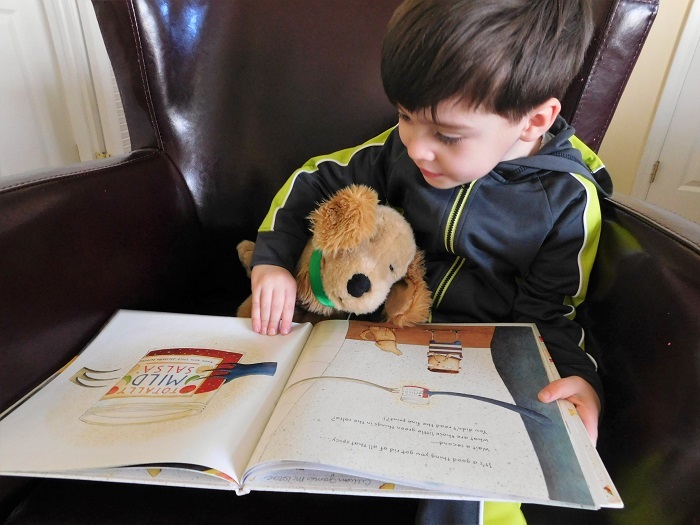 Find activities and other resources to support reading at home. Reading Rockets is a great website to learn more about reading. 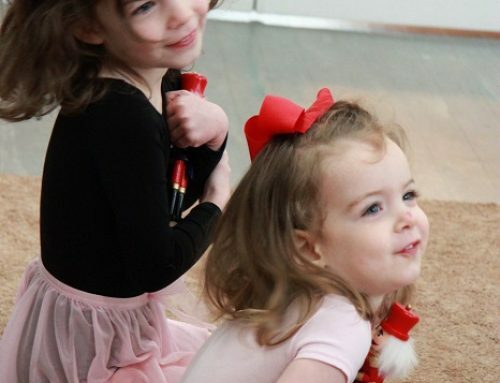 They feature a Read Across America article with activities to do with Dr. Seuss books at home. 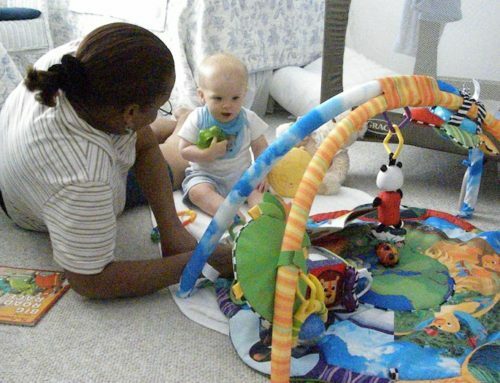 But explore beyond there for more guidance on helping your kids learn to read. Support your favorite reading charities. 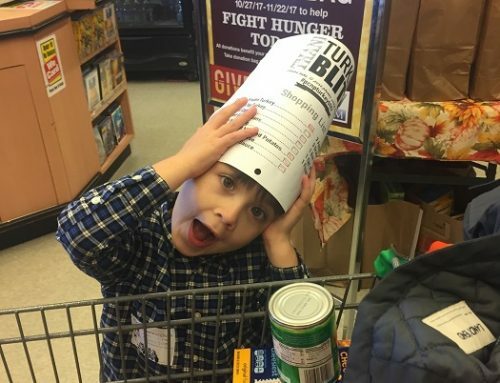 While it is not a holiday that asks for donations, like reading, every day is a good day to help if you can. For #GivingTuesday, we shared our favorite reading charities, but you can support other organizations that help children learn to read like Reading Rockets. How will you celebrate Read Across America? LOVE LOVE LOVE Wild About Books. You should try Bunny’s Book Club, too. Another one about book loving animals who can’t stay away from the library. We just picked it up by chance at the bookstore in town and it’s really cute; the girls are loving it!